Long and very level like her dam. It is just amazing how much she looks like Caress. 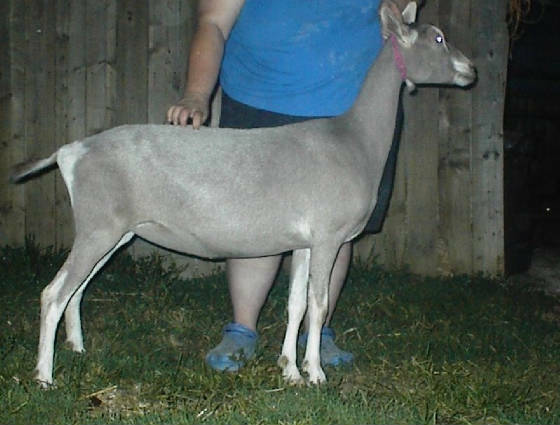 This doe has freshened with a very long extended fore udder. She has a beautiful topline and is very smoothly blended. 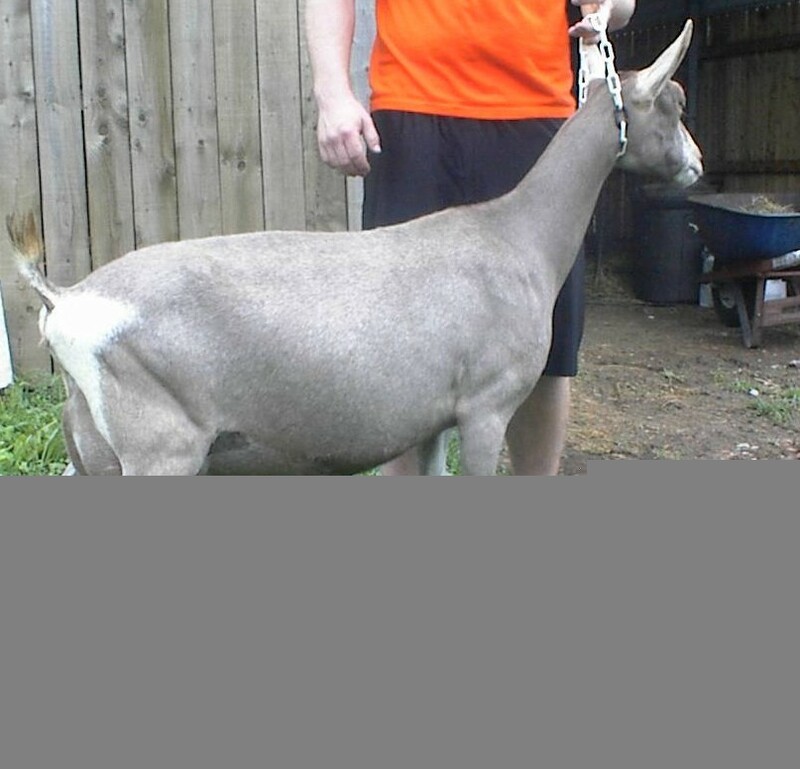 She just needs to mature to get her into the show ring in 2010. We think she will be as good or better than her dam.